Despite all the acrimony between Cyanogen and OnePlus, most of the phones that shipped with CyanogenMod 11S are still going to receive updates for the foreseeable future. The firmware update to 12S, which is Lollipop-based, is now in its final quality assurance testing with Cyanogen and third parties to meet standards set by Google to retain Play Services. Remember, this is an OEM ROM, not just a run-of-the-mill build going from nightly to stable. The update, which will come OTA, is based on Android 5.0.2. Since multiple parties are involved, a precise release date can't be pinned down. Rest assured that it will be soon, though. 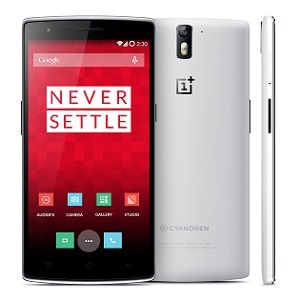 This is unrelated to OnePlus's recent announcement that they will be developing their own software called Oxygen OS. While Cyanogen will probably no longer be the OS partner of choice for OnePlus, support will continue for all phones that shipped with CyanogenMod 11S. If you're not familiar with the situation, OnePlus and Cyanogen underwent a messy break-up of sorts after Micromax inked an exclusive deal for CyanogenMod in India. OnePlus Ones that were purchased outside of India, now referred to as "global" devices, will keep the OS. Devices made specifically for the Indian market will at some point receive an update to Oxygen OS.